The Barkley Marathons makes for one of ultrarunning’s biggest Twitter weekends, and we went through all of that to recap this year’s race–what we could make of the event, anyway. This week’s column also includes highlights from Italy, ski mountaineering, and tons–yes, tons–more. Hello, Monday! Let’s cut to the chase, no one is a 2018 Barkley Marathons finisher. Now we’ll go back and step through this one chronologically, thanks largely to the witty and sometimes purposely ambiguous Twitter work of Keith Dunn and Brad Bishop. Notorious race director Gary Cantrell, more affectionately known as Lazarus Lake, pursed his lips against a conch shell at 8:33 a.m. on Saturday and an hour later a ceremonial cigarette puff sent 40 runners–14 veterans and 26 newcomers–into Frozen Head State Park. Those runners traded a chicken barbecue and a license-plate-decorated camp for already, ahem, difficult course conditions made worse by rain, fog, mud, and lightning. The race is organized as five laps of who-knows-exactly-how-many miles, and we’ll try to loosely frame the below highlights around that structure. The first lap course cutoff is a challenge for many and whether from that or simple unwillingness to continue Michael Wardian, Greg Armstrong, and David Hughes were among the early exits. It was Hughes that reportedly earned the first solemn bugle call. Talk about mind games! Runners collect book pages while on course to evidence their progress, and book two was ironically titled Six Seconds, a play on Gary Robbins’s (Canada) near-miss at the 2017 race. Gary was in this year’s race. Collectively it appears that 21 runners advanced to the second lap, four of them women. Five runners finished two laps inside of the 26:40 cutoff. That group included Robbins, Ally Beaven (Scotland), Guillaume Calmettes (France, but living in the USA), Johan Steene (Sweden), and Valery Caussarieu (France). Wow, Barkley is suddenly among the international of all U.S. ultras! Among the runners who reportedly completed one lap but not two were Eoin Keith (Ireland), Maggie Guterl, Jamil Coury, Amelia Boone, John Burton, Nikki Rehn (Australia), Kaz Williams (France), Scott Martin, Benoit Laval, Jodi Isenor, Remy Gerard, Liz Canty, Garret Christensen, Stephanie Case (Canada, but living in France), and Gabriel Szerda. Who was the one other we missed? Leave a comment to let us know. Caussarieu reportedly tried to withdraw before starting lap three after arriving back to camp with only a few minutes before the cutoff, but was ultimately encouraged to return to the course by the other French runners. He did however drop first on lap three, having not gained a single book page. Beaven was the second to stop on lap three. He gained one book page on his third lap. Steene was out sometime after that, too. Robbins took home a three-lap ‘fun run’ finish in 36 hours, 12 minutes, and Calmettes is still ‘Out There’ at the time of this writing on Sunday night. 3/26/18 Update – Calmettes returned to camp early Monday morning, missing the 40-hour fun-run cutoff. Picture perfect! Italy’s Cinque Terre is a popular tourist destination, and the Sciacchetrail Cinque Terre Ultra Trail is probably equally breathtaking. The loop course links up the five historic towns, and runs 47k (29 miles) and with 3,000 meters (9,850 feet) of elevation gain, including always dreaded stairs. Official results are still out, but social media has Georg Piazza (Italy) as the race winner in 4:33. Luca Carrara (Italy) was second in 4:36, and Lenny Strnad was third in 4:47. U.S. runners Clare Gallagher and Amanda Basham went one-two here in 5:15 and 5:24, respectively. Ghitti Schiebel (Germany) was third in 6:01. The 21st Grand Traverse was forced into a course reroute due to avalanche conditions. Traditionally a 40-mile one-way trip from Crested Butte to Aspen, this year’s ski-mountaineering race was instead an out and back from Crested Butte. Sean Van Horn and Cam Smith teamed to win the nicknamed “Grand Reverse” in 6:32, easily outpacing the competition. Second-place Billy Laird and Eric Sullivan finished in 6:58, and third-place Logan Greydanus and Nick Jordan followed in 7:06. Women’s team winners Hannah Smith and Molly Susla finished in 8:06, beating the rest of the women’s field by 33 minutes. Second-place women’s team was Caroline and Sarah Tory in 8:39 and the Colorado team of Amy Charity and Mindy Mulliken were third in 9:42. Brad and Nikki LaRochelle won the coed race in 7:14. 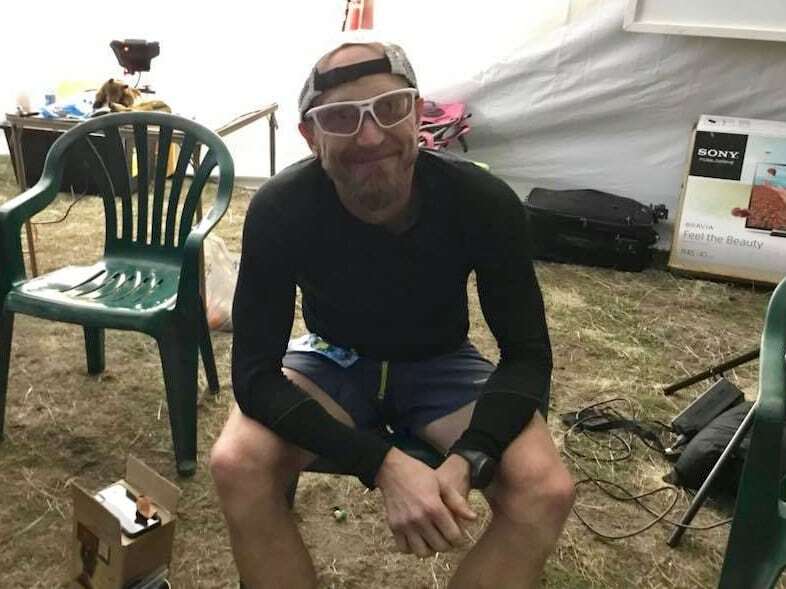 Mad Moose Events has been in Moab for some five years now, and Kyle Pietari is making a recent run at their group of races. He won the Behind the Rocks Ultra 50-mile race in 7:48. Jesse Rosales and Eddie Aispuro were second and third in 8:19 and 8:33, respectively. In the accompanying 50k, Bobby Peavey set a new course record with a 3:56 finish time. Tristan Myers and Zachary King gained the other two podium positions in 4:11 and 4:16. 19-year-old Jackson Brill eclipsed a Dakota Jones course record in the short-course 30k race, running 2:00. 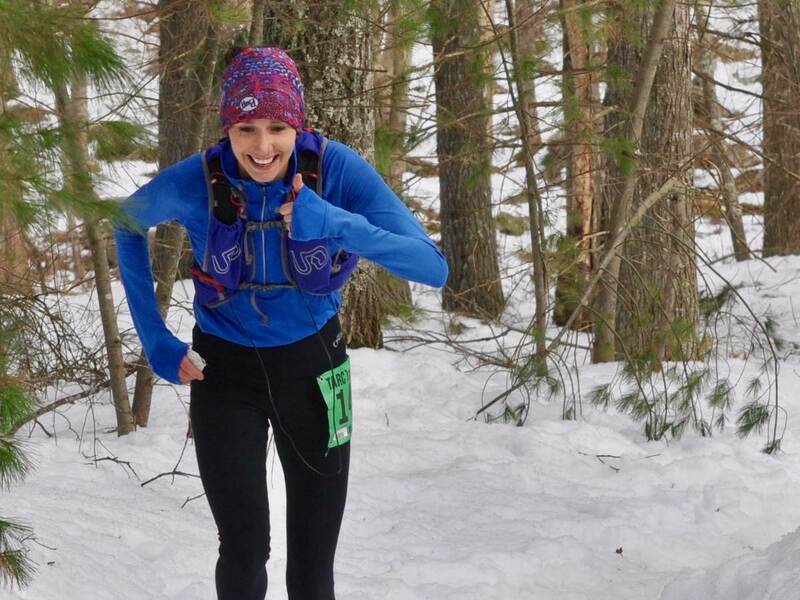 It’s March, and Courtney Dauwalter hadn’t run an ultra this month yet! We jest, in admiration of Dauwalter’s durability. The 2017 UltraRunning Magazine (North American) Ultrarunner of the Year runner up won the women’s 50-mile race in 7:51, just three minutes back of men’s winner Pietari. Perhaps surprisingly, or perhaps reflective of a conservative effort, Dauwalter was 25 minutes back of Marianne Hogan‘s 2017 course record. Two-time U.S. mountain champion Addie Bracy tailed Dauwalter for the opening 36 miles and only fell off marginally in the race’s late stages. Bracy finished in 7:57, certainly a promising debut for the 50-mile distance. Serena Wilcox was third in 9:21. Taylor Nowlin and Heather Hoechst both went under the previous course best in the 50k. The two frontrunners ran 4:27 and 4:48, respectively. Third-place Jessy Forgues followed in 5:20. Olympic Marathon Trials qualifier Ashley Brasovan won the women’s 30k in 2:10, also a new course record. The Eco-X Terrapin Mountain 50k turned 11, and the longtime Virginia race was again part of both the Beast Series and the Lynchburg Ultra Series. In a group of four through halfway, it was in the race’s second half that Nicholas Dipirro gained some distance and rolled to a 4:25 winning time. Frank Gonzalez made a late pass, perhaps very late, to jump from third to second and finished in 4:34. Third-place Brian Rusiecki was only two seconds behind Gonzalez. Any insider stories on how this one evolved? Although the current results are not gender-differentiated, a hopefully skillful eye picks out Amy Rusiecki as the women’s winner in 5:24. It appears that Sheila Vibert and Shannon Howell were second and third in 5:32 and 5:35. The next race in the six-race Beast Series is the April 28 Promise Land 50k, also in Virginia. 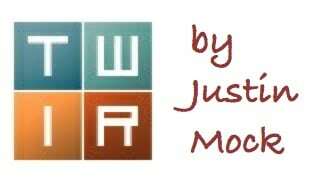 iRunFar friend Chris Wristen, editor of MassUltra.com, was on site and contributed the below recap. 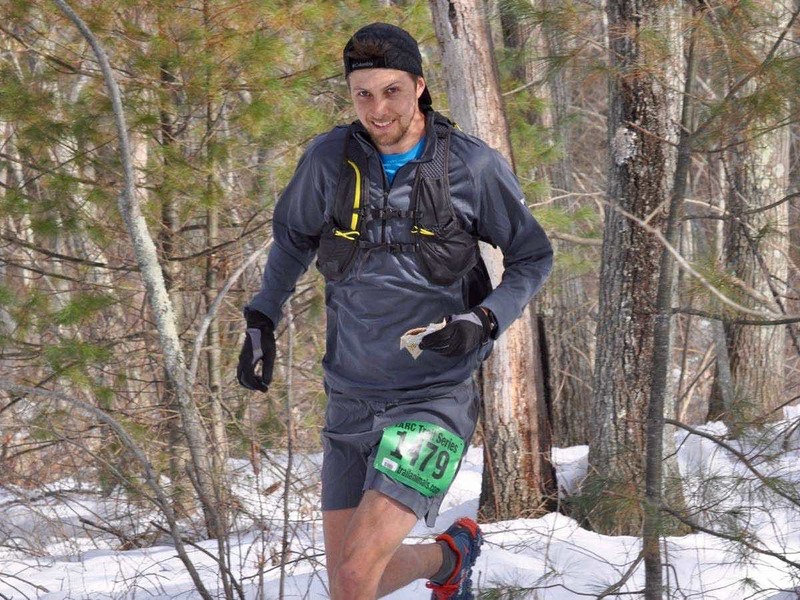 Four late-season snowstorms slammed New England in recent weeks and assured that the To Hale and Back 6-Hour Ultra–the Trail Animals Running Club’s season opener-would be a challenging affair. The snow-packed and often sloppy course conditions at Hale Reservation ensured that course records were safe, but they didn’t prevent Joe McConaughy and Elise DeRoo from delivering winning efforts. 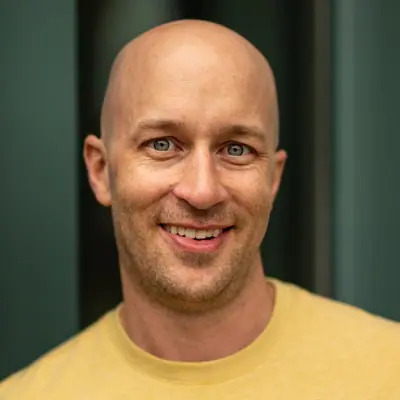 Since breaking the Appalachian Trail self-supported speed record in 2017, McConaughy has kept a relatively low profile. He returned to action at To Hale and Back though, and on a course he got to know in 2016 when he hammered a course-record 38.5 miles on a dry day. At this year’s race, McConaughy lingered a few seconds back of Sylvain Olier for the first three trips around the course, but moved into the lead during loop four and steadily pulled away. Ultimately, McConaughy finished 11 loops for 35.2 miles. Olier placed second with 10 loops and 32 miles, and Scot DeDeo was third with 28.8 miles. Medical school has cut into Elise DeRoo’s training schedule in recent months, but she burned off a little academic stress on the trails. Last year she was the race’s overall winner with a women’s course-record 35 miles, and though she didn’t match her output from a year ago, but she was in control throughout. DeRoo led from start to finish and earned her second straight victory with 28.8 miles. Kara Spera Olivito and Jill Lizotte were second and third with 25.6 miles apiece. Pennsylvania’s Mile Run Trail Challenge Half Marathon crowned Matt Lipsey and Elizabeth Miller as its 2018 winners in 1:29 and 1:52. Full results. It sounds weird, but the U.S. National Whitewater Center in North Carolina puts on a trail marathon, and has for the last three years. Bill Shaires and Amanda Fleishman won the two-lap marathon in 3:50 and 4:31, and in the half marathon Gray Riley and Jackie Selle were victorious in 1:47 and 1:54. Full results. Antelope Island is 42 square miles and is just one of 10 islands in Utah’s massive Great Salt Lake. Buffalo, or if being technical, bison, have been on the island since 1893. The Antelope Island Buffalo Run has been around since 2006, though. Jeff Browning led the men’s 100-mile race in 15:57, the race’s fourth-fastest ever. Dana Anderson won the women’s race in 20:15. In the 50 miler, it was Matthew Zabriskie and Elizabeth Simpson who won in 6:55 and 7:29. Gary Messina and Katherine Pagano took home 50k wins in 4:04 and 4:37. Full results. The Clinton Lake Ultra 30-mile race in Illinois was race #2 in the seven-race 50k Mashup. Race winners were Mark Holcomb and Sarka Petrickova in 4:43 and 5:18, respectively. Full results. The Kansas Prairie Spirit Trail ultra races run on a rails-to-trails course. Men’s 100-mile winner David Theriot went 16:25, and women’s best Chavet Breslin followed in 18:36. Fifty-mile winners Daniel Gibson and Jenna Mutz ran 7:45 and 6:47. That’s right, women’s winner Mutz was also the overall winner by over an hour. She also set a new course record. And in the 50k, Scott Schrader and Stephanie Cundith won in 3:30 and 4:32. Full results. Much like other winter Alaskan races, the White Mountains 100 Mile race includes simultaneous ski, cycle, and foot races. It appears that just 22 runners started the foot race. As of this article’s writing on Sunday evening, some 10 hours into the race, Drew Harrington leads the men’s race and Teri Buck leads the women, which includes nine racers. Semi-live tracking. iRunFar columnist Andy Jones-Wilkins can’t wait for next weekend’s Georgia Death Race 72-miler, and eagerly contributed to the below preview. Next Saturday in the mountains of north Georgia, the fourth and longest Western States 100 Golden Ticket Race goes off. Being the only Golden Ticket Race east of the Mississippi, the Georgia Death Race typically draws a diverse field from across the country all vying for one of the four Golden Tickets at stake on this 72-mile, 20,000 vertical-foot course. On the men’s side, the field is led by 2016 Georgia Death Race and Western States champion Andrew Miller. He will be seeking another trip back to Squaw after being beset with injuries in 2017. Chasing Miller will be 2016 second-place Georgia Death Race finisher Caleb Denton, 2017 Beast Series winner and record-holder Matt Thompson, 2016 Grindstone 100 Mile second-place finisher Aaron Saft, and 2017 third-place Georgia Death Race finisher Bob Shebest. In the event that any of those men falter, look for two-time top-four race finisher Dominick Layfield to be ready to sweep up the carnage. Leading the pack for the women is Vermont’s Aliza Lapierre. The winner of the 2017 Georgia Death Race and a several-time top-10 finisher at Western States, Lapierre has her eyes firmly on securing her ticket. Chasing her will be 2012 Western States second-place finisher, and recent winner of the 2017 Javelina Jundred, Larisa Dannis. Look for Jasmine Chiaramonte, eighth-place finisher at the 2017 Georgia Death Race, and Megan Alvarado, 2017 Grindstone 100 Mile runner-up, to be further in pursuit. Oof, that was a lot to cover! Let’s hear your thoughts on this weekend’s races. And how about next weekend’s Georgia Death Race? Who do you see earning the Golden Tickets? Jeff, thanks! We’ve updated the text. Isn’t Camille Herron 2017 UROY? DL, Yep, she was and Courtney was runner up. Good catch, and the article is corrected. The Tammany 10 also took place on Saturday. It is a 38 mile “fastpack” which consists of 10 laps of Mount Tammany in NJ. Each lap climbs and descends 1,200 feet, for a total elevation gain of 12,000 feet. The top women were Kehr Davis and Kathleen Cusick in 8:57 and 9:41, who both surpassed the previous course record (also held by Kathleen). Men’s winners were Steven Lange and Jay Lemos in 7:28 and 7:33 respectively. These were the 2nd and 4th fastest times ever posted in the seven year history of the race. The classic Crown King Scramble 50K (north of Phoenix) was also this weekend, won by Kelly Wolf (4 minutes shy of course record) and Zach Bitter. I really want to give a shoutout to Chris Wristen for knowing how to say selfsupported. Maybe the second time I’ve seen a running-related site actually get that right. Yes- former Olympian wrestler. Full name Gabriel Szerda. Amy Charity and Mindy Mulliken from Steamboat Springs, CO.
Steve, Jimmy, Mike, and Jon, Thanks for filling in the missing names. We’ve updated the article! No mention of the Two Oceans in South Africa this Saturday the second largest ultra and this year the probably the most competitive ladies field ever including two fast American marathon runners. Don’t know that I’ll ever be in the “community” of Crown King again, but it sure was fun being there on Sat., Jubs did another great job, and it was a hell of a finish line party! The one you missed that started Loop 2 at Barkley is a champion orienteer, formerly from eastern Europe, now living in Washington State.